Q: You once said that nearly 60 countries support China's position on the South China Sea issue. Can you give us a list of those countries for us to report? A: If I remember it correctly, it is also the AFP that raised the same question last time. I'd like to clarify that the number of nearly 60 countries was not first mentioned by me, but by a journalist when raising a question to me. My answer to you is just the same as what I said last time. We are not doing a math here, but given what we have learned up to now, countries which support us far outnumber those seven or right countries with the opposite position. The number itself speaks volume. As you raised this question here, I can tell you that a few more countries have just voiced their support to China on this issue. Q: When meeting with the Dalai Lama in the White House, US President Barack Obama said that he supported Tibet in protecting its own religion and culture. What's your comment? A: As I pointed out yesterday, Tibetan affairs fall entirely within China's domestic affairs which brook no foreign interference. The 14th Dalai Lama is not a pure religious figure, but a political exile that has long been engaged in anti-China separatist campaigns under the cloak of religion. The so-called "middle path" he peddles boils down to "independence of Tibet". The meeting between the US leader and the Dalai Lama in whatever form goes against the US commitment of recognizing Tibet as part of China, and not supporting "Tibetan independence" nor activities that attempt to split up China. The US' meddling with China's domestic affairs will inevitably inflict harm on bilateral mutual trust and cooperation. 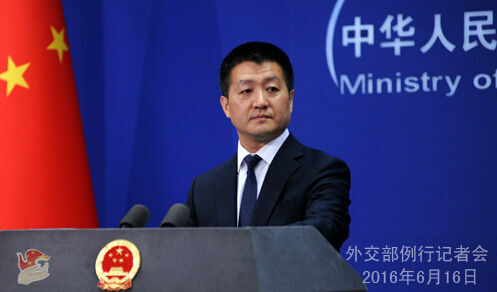 We urge the US to stop interfering in China's domestic affairs by taking advantage of Tibet-related issues and uphold overall cooperation between the two countries with concrete actions. As for the real situation in Tibet, the Chinese people have the best say. Since Tibet was peacefully liberated over six decades ago, it has registered unprecedented achievement in all its endeavors and witnessed great leap-forward in social and economic development. Anyone without political bias nor malicious intentions will acknowledge this fact. I'd also like to reiterate here that the Chinese government and people are resolute in safeguarding national sovereignty and unity among ethnic groups. Any attempt to meddle in China's domestic affairs and undermine China's stability and unity by making use of Tibet-related issues will fail. You also mentioned the religion and culture of Tibet. I advise everyone who genuinely cares about the development as well as the cultural and educational endeavors of Tibet to compare what Tibet looked like under the reign of the 14th Dalai Lama and now, then you can easily draw an objective conclusion. Q: First question, you made a response yesterday to Indian media's reports about Chinese soldiers entering into the "Arunachel Pradesh". There are reports today saying that Chinese and Indian soldiers had "scuffles" which were ended by distribution of chocolates. What's your comment? Can you give us more details? Second, it is reported that military vessels from India and other countries were trailed by a Chinese military vessel when taking part in the Malabar exercises among the US, India and Japan. Do you have any response? A: On your first question, we have noted the clarification made by interior ministry officials of India, who said that there was no such thing as "intrusion" or "transgression" by Chinese border troops. I also want to point out that China holds a consistent and clear position on the eastern section of the China-India boundary. As I put it yesterday, Chinese border troops were on a routine patrol operation. We are willing to work with India to ensure peace and tranquility in the border area. On your second question, which was also raised by someone else yesterday, I have no specific information at hand. But I'd like to remind you that there seems to be a clan of people who always deliberately play up or exaggerate things that are normal. Everyone should keep an eagle eye on their true intentions.